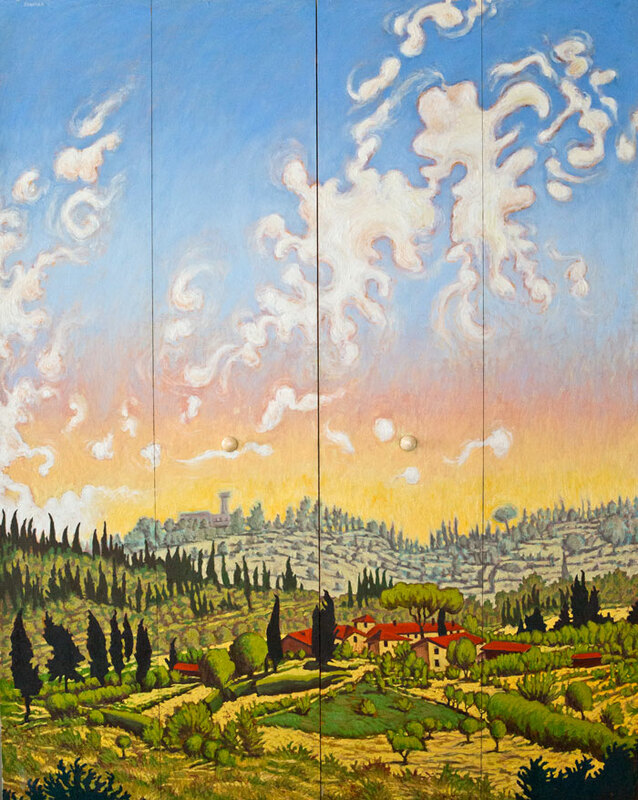 Outerlands Gallery co-owner, Ross Sheehan, will have large-scale landscape paintings and a mixed media installation for the upcoming exhibit “Water Above, Sky Below” at the FLYNNDOG Gallery in Burlington, VT, as part of Art Hop weekend. Homer Wells, Rory Jackson and Duker Bower will also have their work on exhibit. Come join us for the opening reception on Friday September 6th. What: “Water Above, Sky Below” will be on exhibit during Art Hop weekend at the FLYNNDOG Gallery. The exhibit will showcase large-scale artwork inspired by the relationship between water and sky by four Vermont artists. This entry was posted in Blog and tagged Abstract Art, Abstract Artist, Art, Art Gallery, Art Hop, Art Studio, Burlington, Contemporary Art, Contemporary Artist, Flynndog, Flynndog Gallery, Outerlands, Outerlands Gallery, Ross Sheehan, seaba, South Burlington, South End Art Hop, Vergennes, Vermont, Vermont Art, Vermont Artist, VT.